SAN DIEGO, CA (April 19, 2018) — Traveling Stories and IDW are proud to launch the annual San Diego Comic-Con® sweepstakes, a contest which will last through June 13th at 3:00pm PT. ● Airfare for 2 within the continental U.S. Anyone in the world can enter! $10 gives you 10 chances to win. Each additional $1 is another chance - the math is simple. Every dollar is a donation to Traveling Stories, a 501c3 nonprofit organization that empowers kid to outsmart poverty by helping them fall in love with reading by the 4th grade. "I've always been an avid reader, even when I was little. I’m excited that through this sweepstakes we’re able to raise the funds needed to give kids in underprivileged areas the same literary experience I was lucky enough to have," said Ted Adams, Founder & CEO of IDW Publishing. 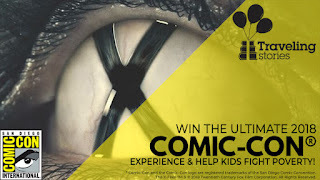 How to snag entries in the sweepstakes is easy, fast, and secure via: bit.ly/comic-con-sweeps. Just follow the steps from there! 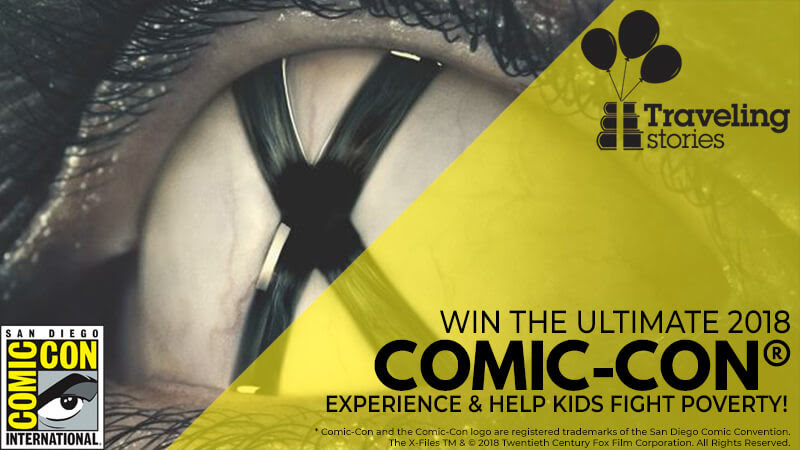 “Anyone who does not have tickets to San Diego Comic-Con® would be crazy to not enter this sweepstakes! It’s a full and complete package including a cool tour of the Comic Art Gallery with me,” said Emily Moberly, Founder and CEO of Traveling Stories. To learn more about Traveling Stories and its programs, please visit travelingstories.org.